Lauren M. Weber, DDS, MS, or “Dr. Lauren” as her patients and staff know her, is the newest addition to our orthodontic family. A mid-westerner by birth, Dr. Lauren’s heart belongs on the west coast— something she realized shortly after completing college at the University of Michigan. Go Blue! Leaving the cold winters of Ann Arbor for Los Angeles, where she earned her dental degree, was a warm and welcomed change in her life. While at UCLA, Dr. Lauren not only maintained her standing at the top of her class, but also volunteered with the Leukemia and Lymphoma Society. As an avid athlete, Dr. Lauren took advantage of the Southern California weather, participating in a variety of races as well as Crossfit. It didn’t take long for Dr. Lauren to realize that continuing her dental education in the specialty of orthodontics was a perfect fit. Dr. Lauren completed her orthodontic specialty training right here at OHSU. And, like many Oregon-trained orthodontists, Dr. David Cruikshank, was one of her most valued attending faculty members, making this partnership even more special for both Dr. Lauren and Dr. Darcy. 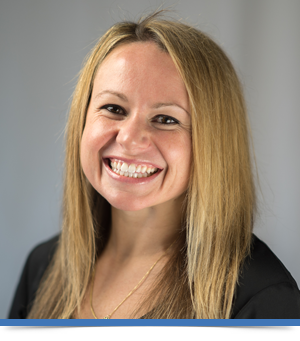 As an energetic, youthful practitioner, Dr. Lauren loves the interactions she has with her patients as she helps them attain the healthy beautiful smiles they’re seeking. Practicing orthodontics here in the Portland area for the past several years has been an enriching experience for Dr. Lauren. She has filled her closet with all the appropriate gear to become an active Pacific-north-westerner who hits the trails year-round! Strike up a conversation with Dr. Lauren as you welcome her to the practice— if you want to get in good with her, pay her a compliment about her dog Cody or ask her about a race, a workout class, or a great restaurant in town.